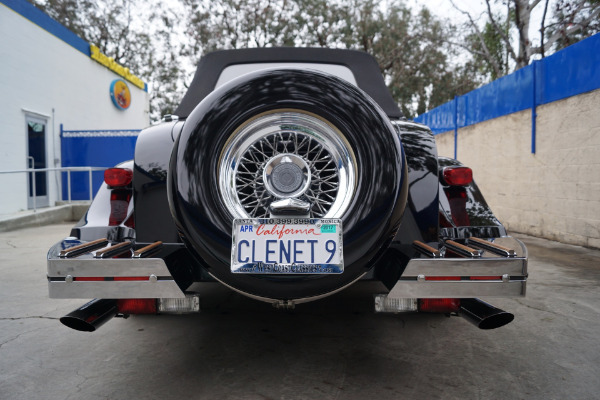 The Clenet story begins with a young French designer named Alain Clenet, who tired of corporate auto industry politics decided to leave his career as an industry consultant and build his dream car. 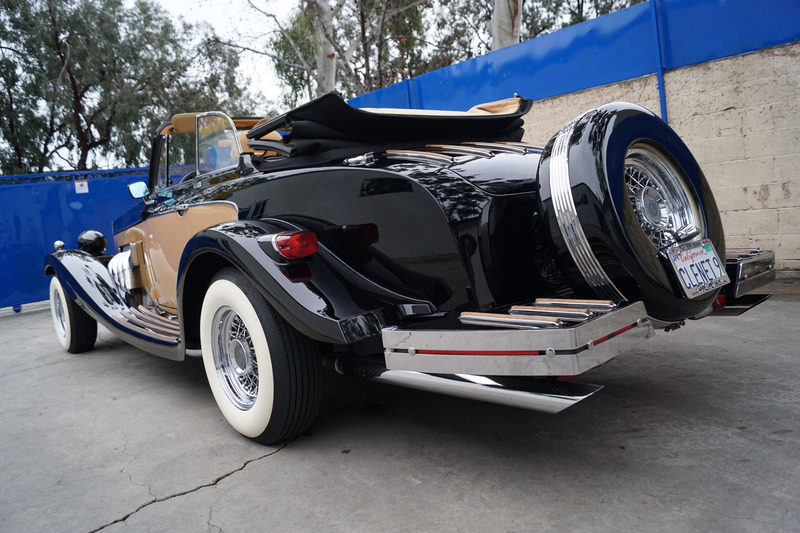 He assembled a team a craftsmen and at the age of 33 he brokered a deal with the Ford Motor Company to supply him with Lincoln Continental frames, engines, and components. 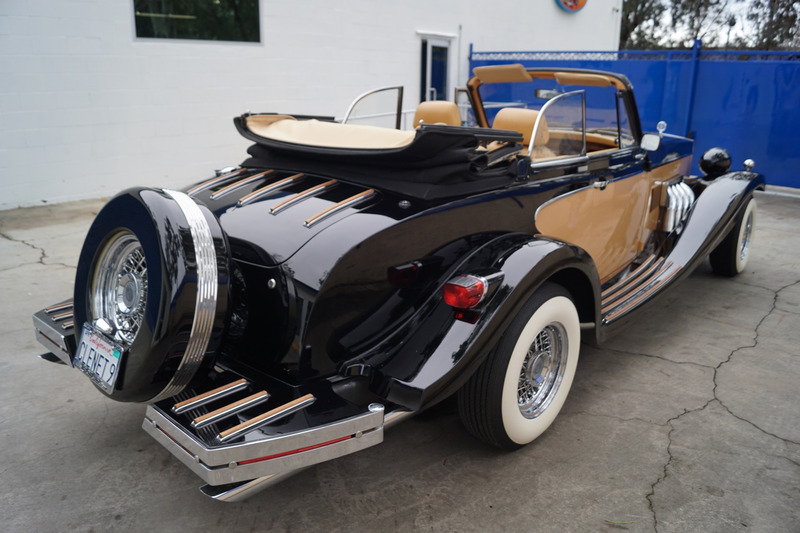 From the company's Santa Barbara, California factory each car was painstakingly crafted and coach built with the goal of making the finest car in the world! 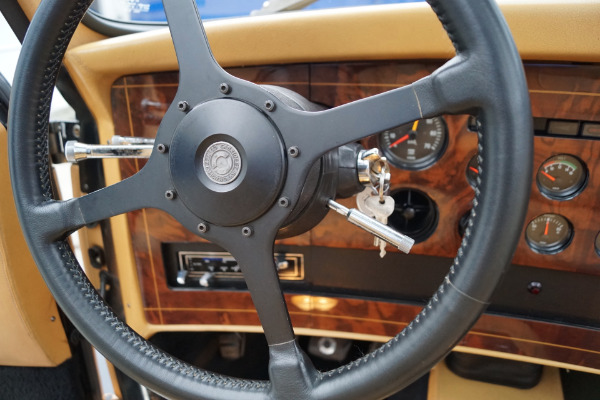 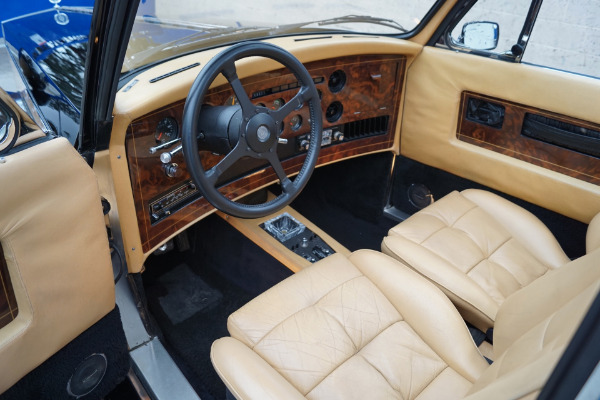 Clenets boasted many of Rolls-Royce luxurious appointments, using the same English Connolly leather, Walnut wood and the same wool carpet as the famed luxury marque. However, it could be argued that compared to a Clenet, a Rolls-Royce was positively mass produced! So few Clenets were constructed, that seeing one today is one of the rarest of automotive sightings. 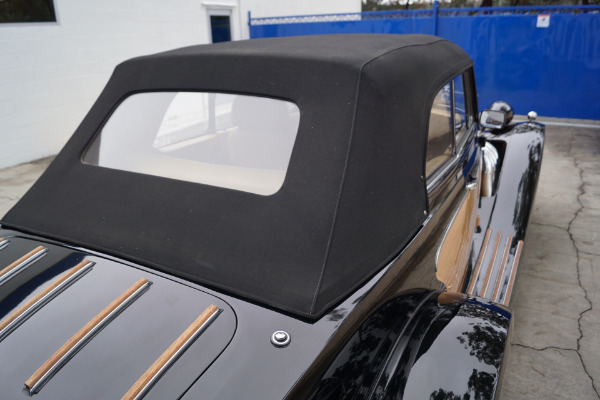 This particular 4 seater Cabriolet example wears positively gorgeous Black paint over Tan with matching Connolly hides and has traveled an extraordinarily low 2,355 miles since new. 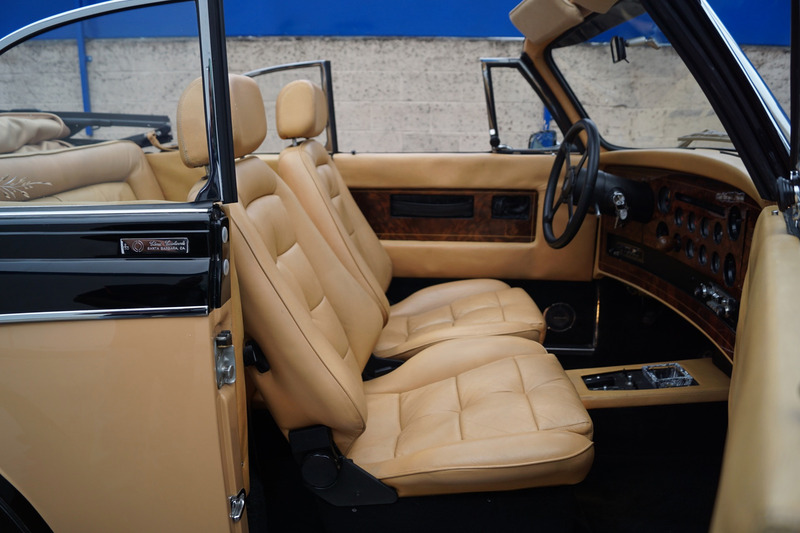 There is no more coveted, more luxurious, better built neo-classic in existence and this is most likely one of the finest examples of the marque available anywhere. Clnet was a manufacturer of Neoclassic cars with old retro styling and modern technology. 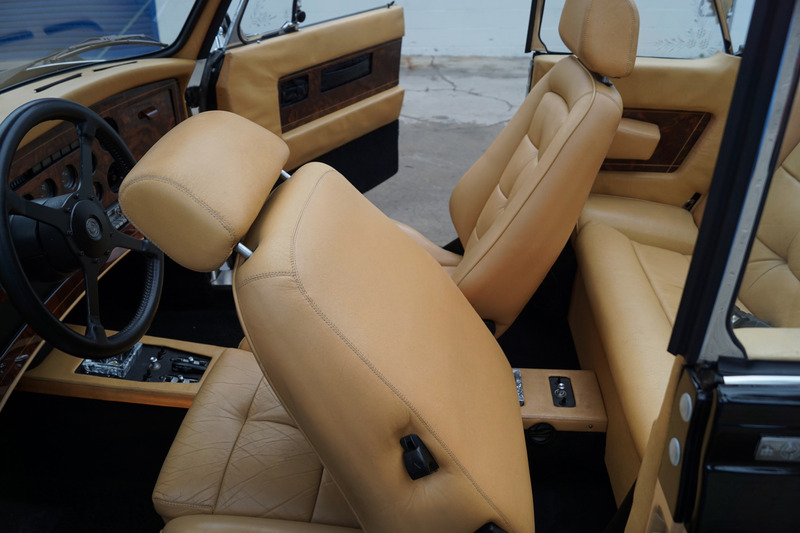 Each limited-production model was conceived, designed, and produced by a small team of men and women in Santa Barbara, California in the 1970s and 1980s. The automobile's distinctive styling was based on the high-end automobiles of the 1930s. 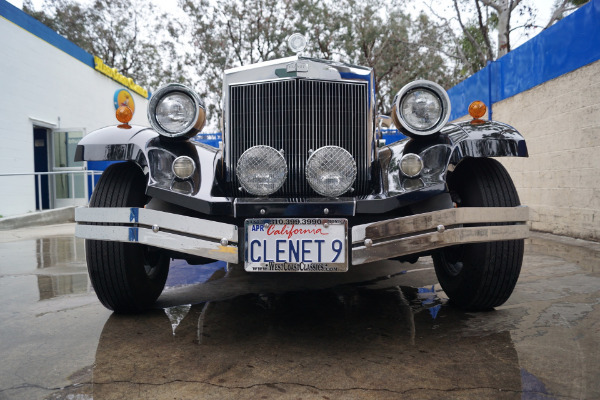 Despite their retro looks, Clnets used modern drive trains and suspension systems. 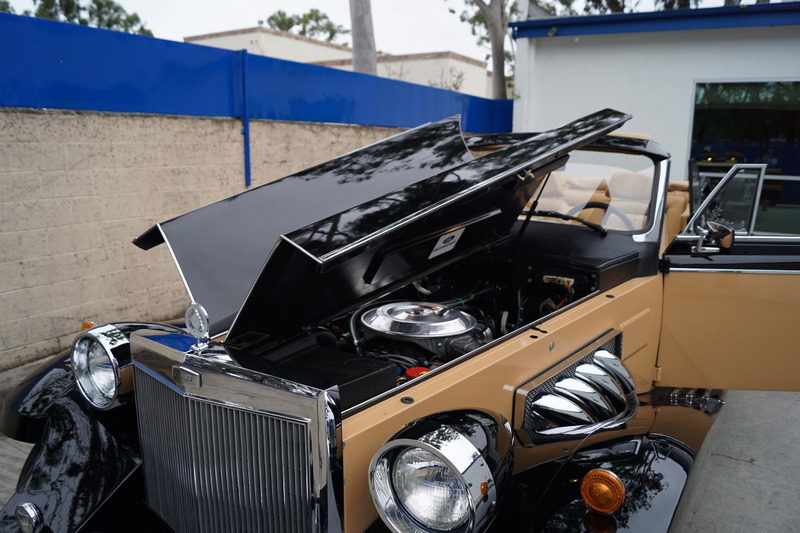 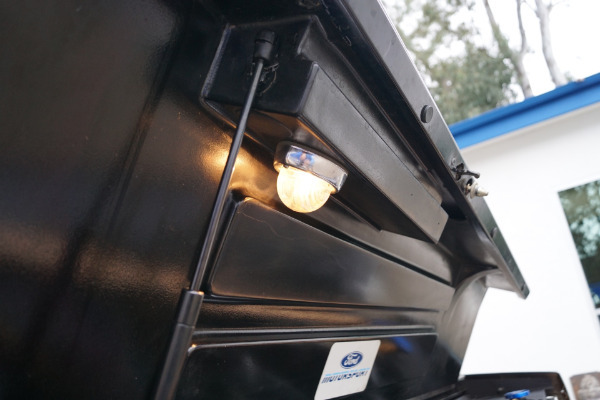 Formed by Alain Clnet and investors in 1975, the company originally started in a garage and later moved into an airplane hangar in Goleta, CA where an assembly line style of production begun. 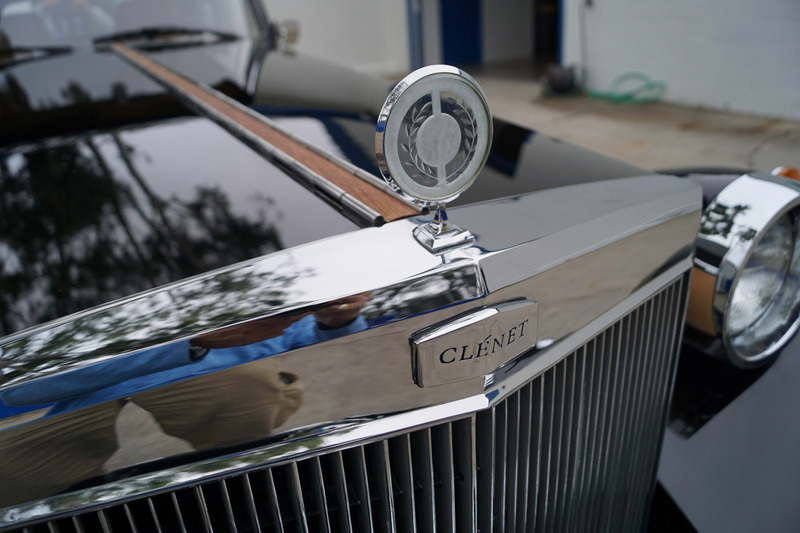 The company ran into financial difficulties in 1980, ceased production, and Alain Clnet filed for bankruptcy. The remaining bodies, tooling and equipment went up for auction. 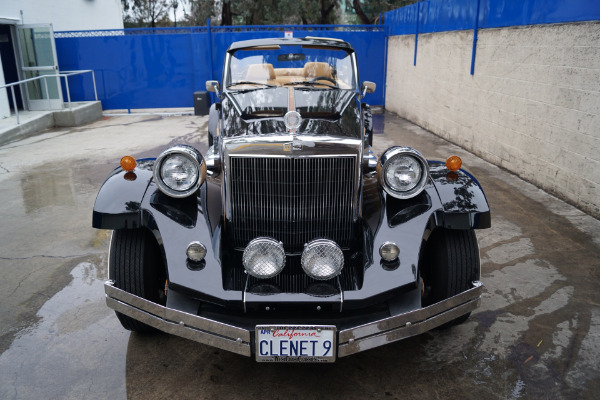 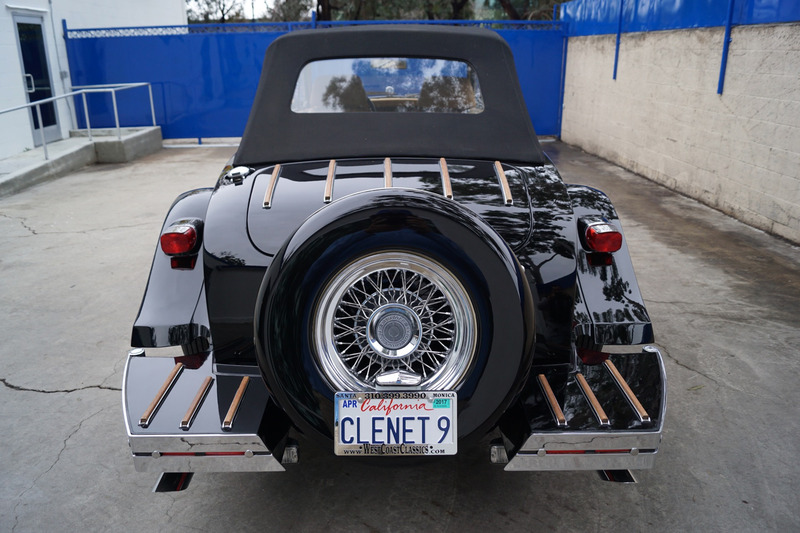 Soon after the bankruptcy, Alfred J. DiMora owner of the Classic Clenet Club and one of the first employees of Clenet, purchased of the assets of Clnet Coachworks, Inc and moved the company to a new production factory in Carpenteria, CA where he re-established the production of the automobile to the same standards of the original, employing many of the original craftsmen from the first Clnet company. 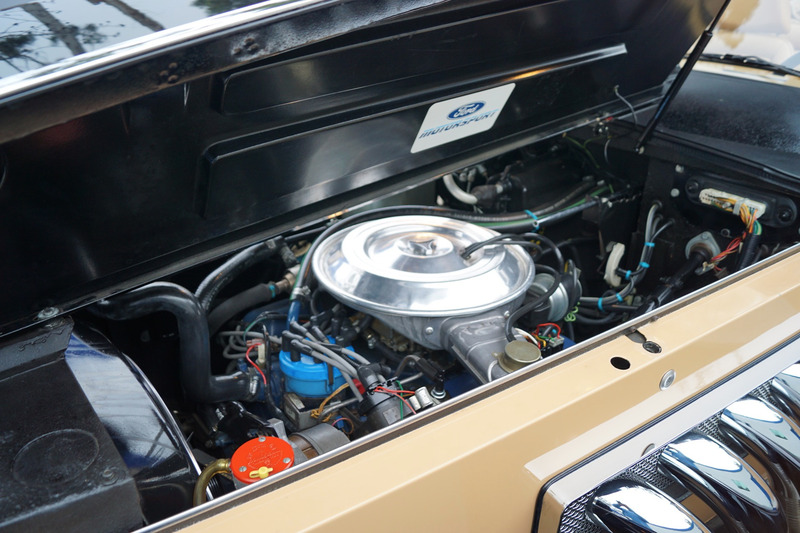 Later the Series IV and Series V designed by DiMora were added to the line of Clnet automobiles. 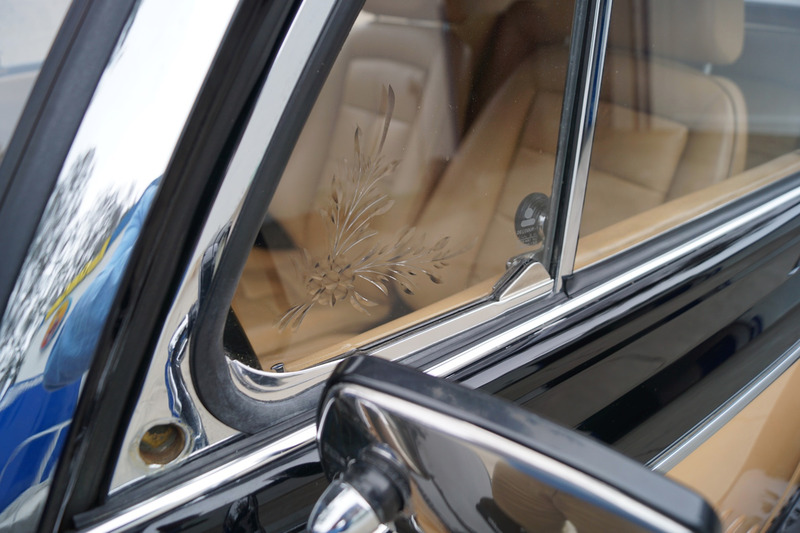 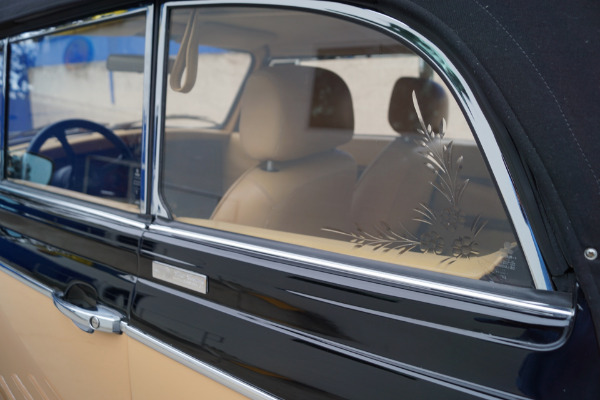 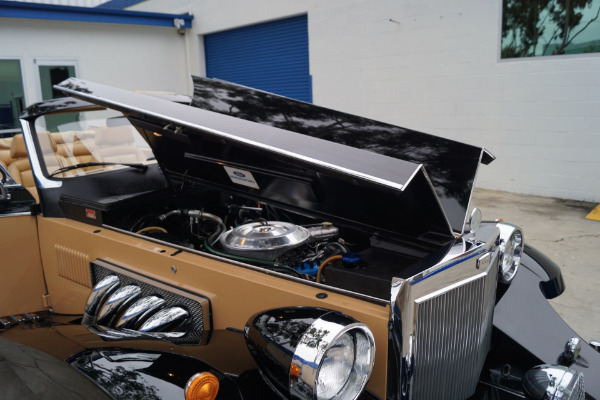 Clnet Coachworks automobiles offered such features as walnut burl dashboards and etched glass accented with the renown 'Waterford' crystal ashtrays which reportedly enabled Clnet to market some of their models at over $100,000. 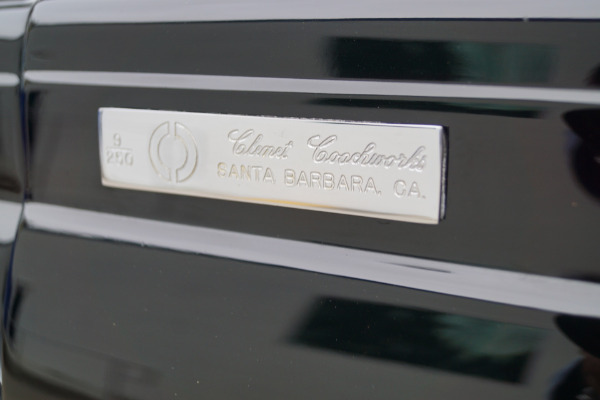 A total of 250 factory-authorized Clnet Series I, 187 Series II, 65 Series III, and 15 Series IV cars were produced by Clenet Coachworks, Inc. The Clenet has a striking and instantly recognizable look that is completely different from any other neo-classic. 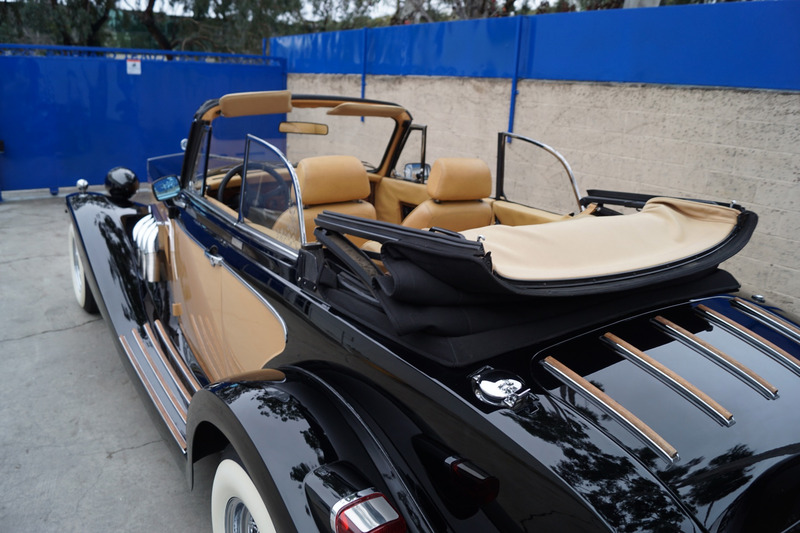 Construction of each car required about 1600 man-hours. 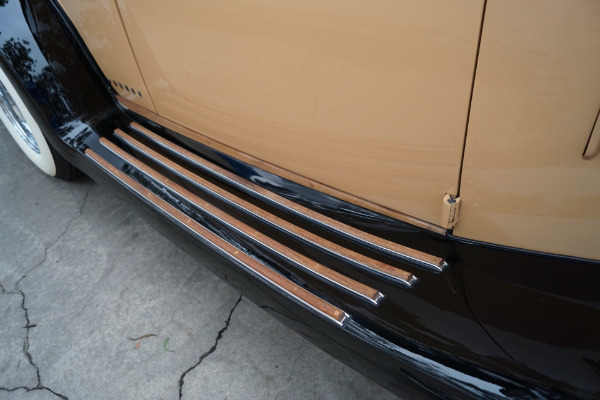 Long swooping front fenders flowed smoothly into short boards, which met wide rear fenders. 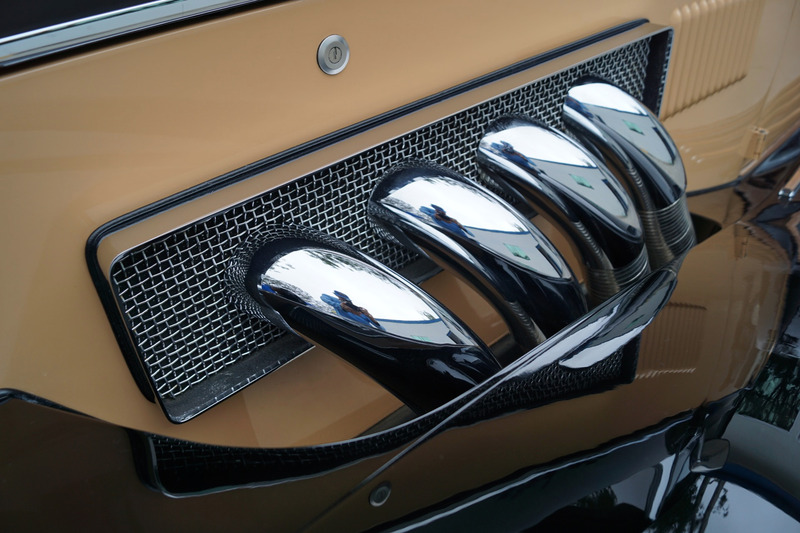 The extremely long, side opening hood had a large number of short vertical louvers. 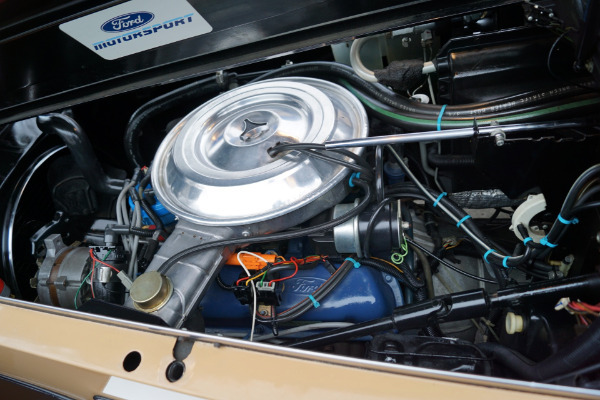 Old-style round separately mounted headlamps were used. The grill was 'Classic' upright style. 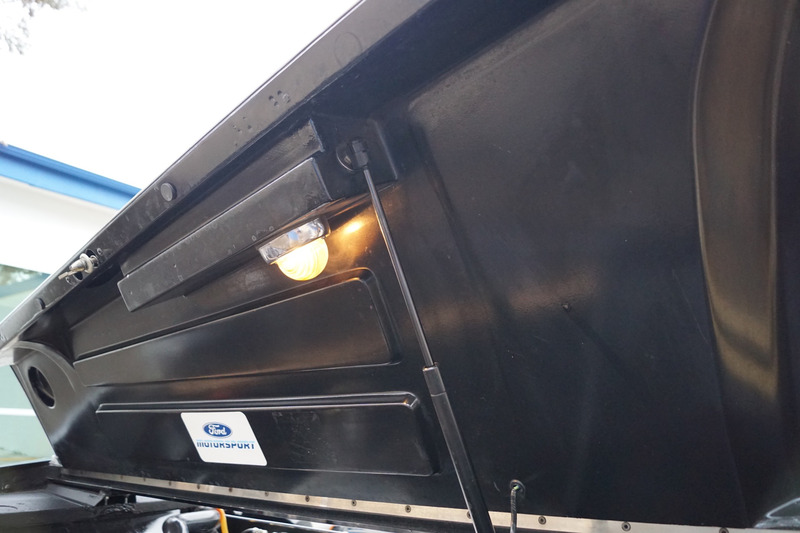 Large driving lights sat close together, just above the split front bumper. 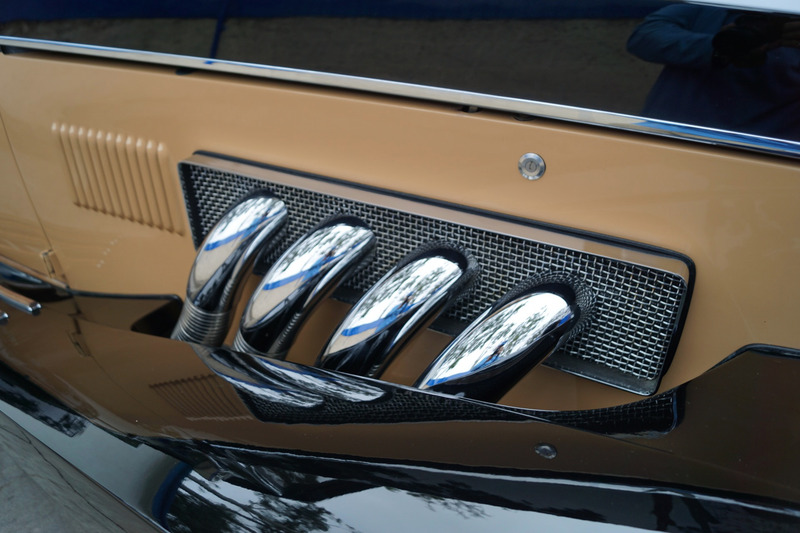 Long air horns actually worked, but the four exhaust pipes coming out of the hood side did not. 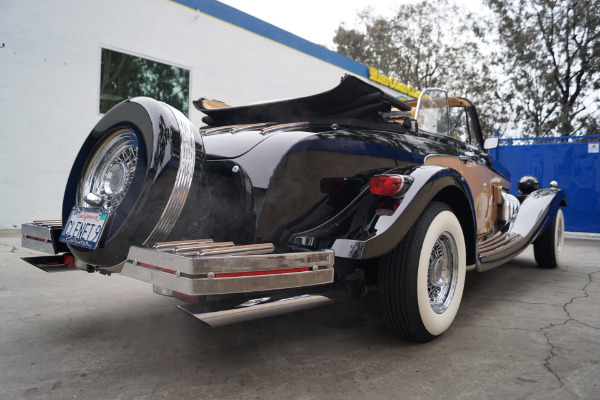 An outside spare tire at the rear was flanked by a split rear bumper. 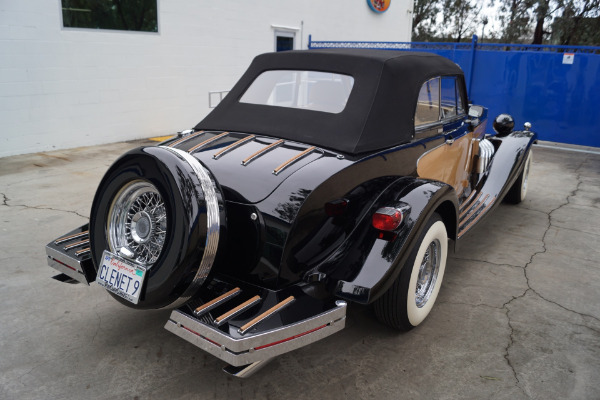 Wire wheels came from the Mark V. Running boards and deck lid held wooden rub strips. 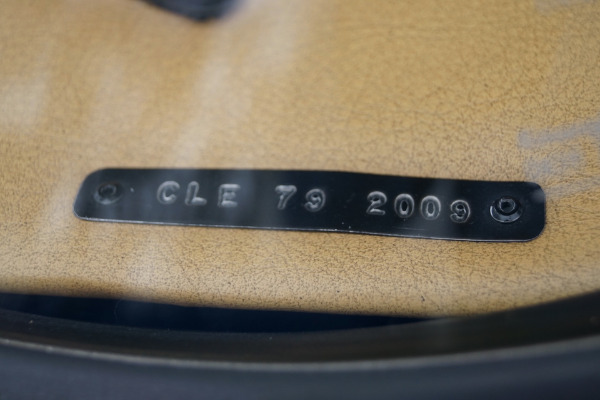 Each cars production number was displayed on a silver door plaque. 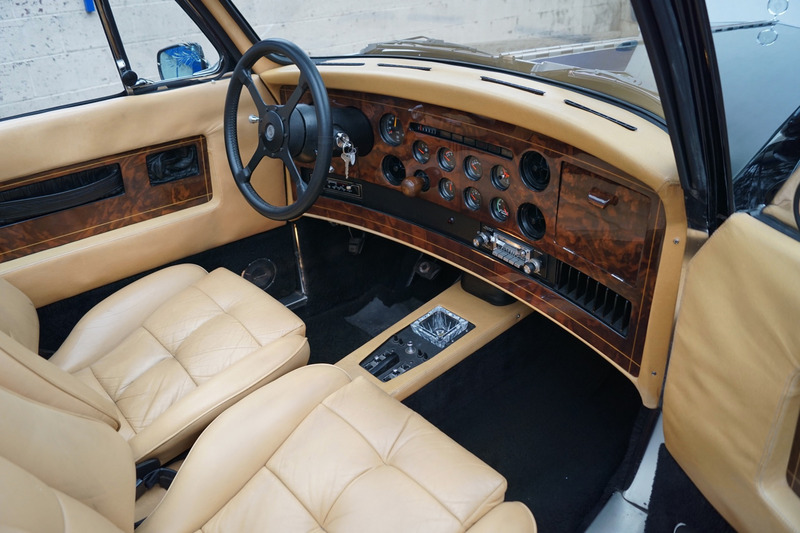 Interior touches included a hand rubbed black walnut dashboard, Connolly leather upholstery and leather padded steering wheel. 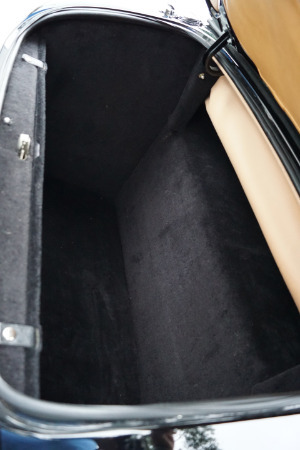 Carpeting was Wilton lambs wool from Britain. Standard equipment included adjustable reclining seatbacks, tinted glass, cruise control, adjustable steering column, tonneau cover and air conditioning. 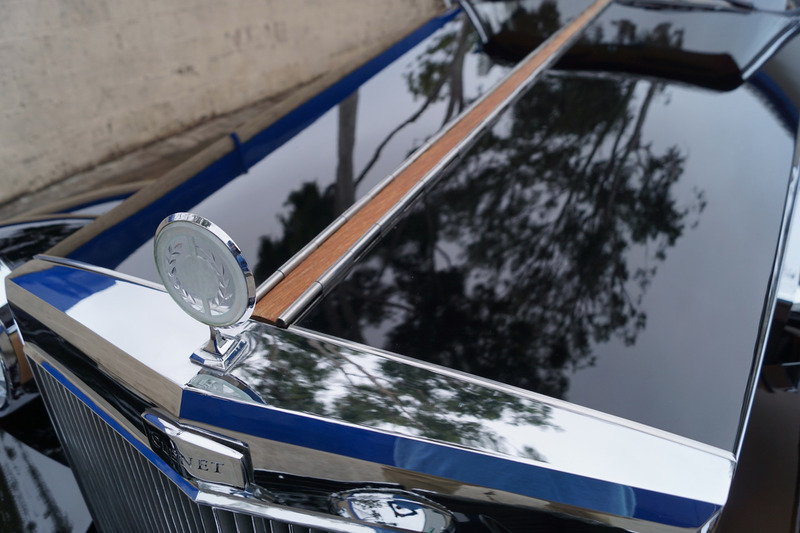 Chrome front horns, large chrome grill. 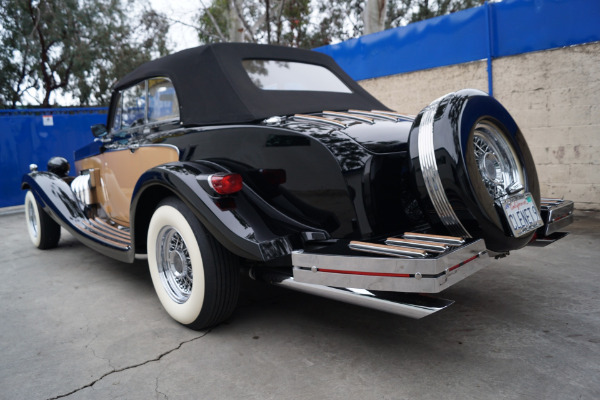 Owned by celebrities and rock stars alike and you know Elvis Presley would have been the first to order such a magnificent piece of showmanship should he have lived just a few more years! 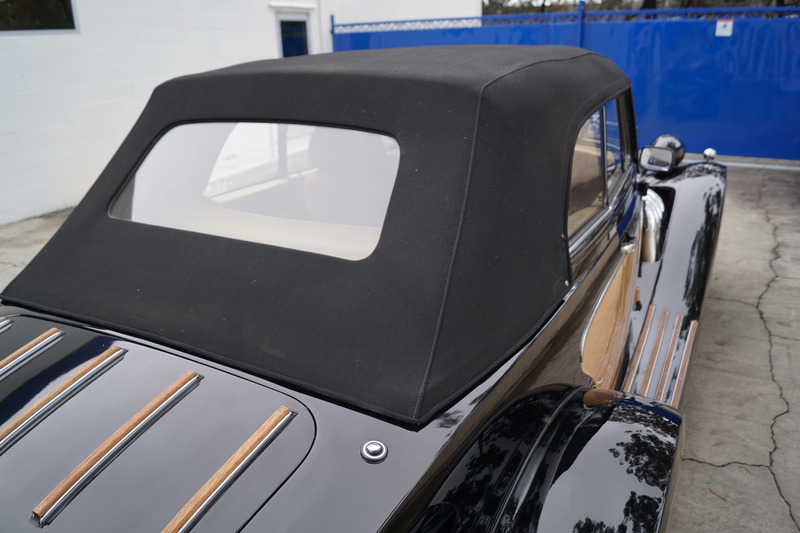 This particular example is coated in the classic two-tone 'Black' over 'Tan' paint. 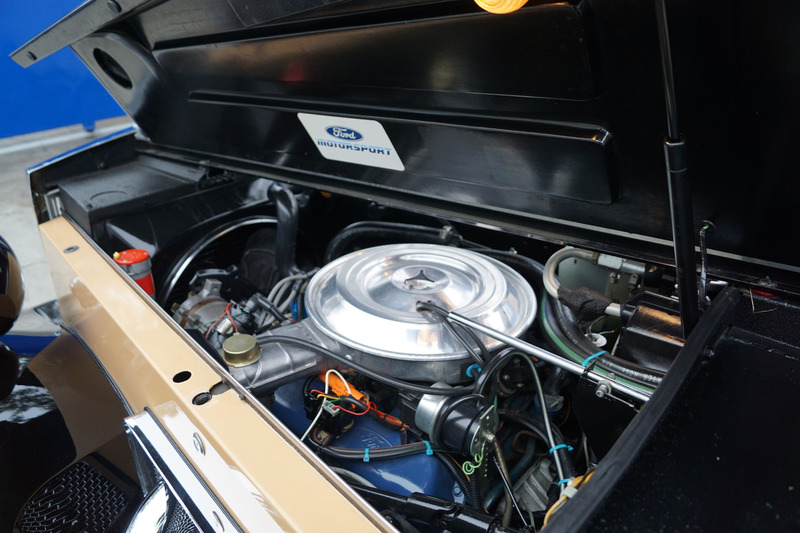 Under the hood of this classic is the smooth running Ford 351 V8. 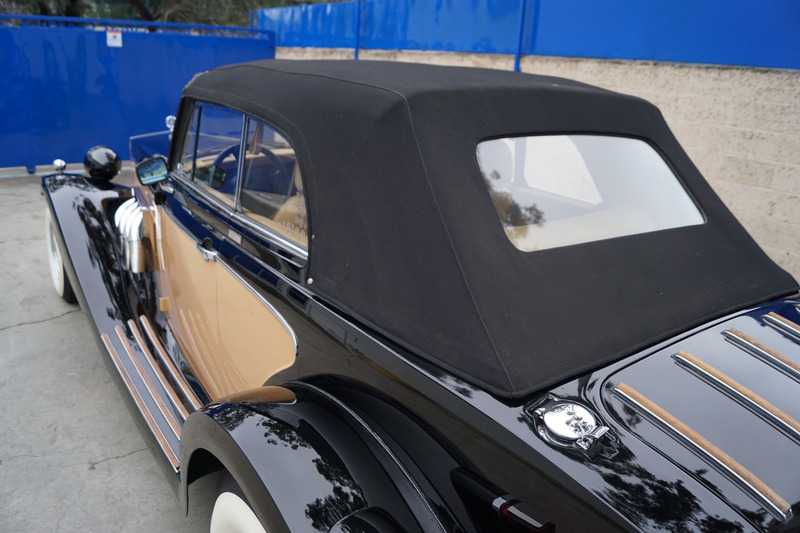 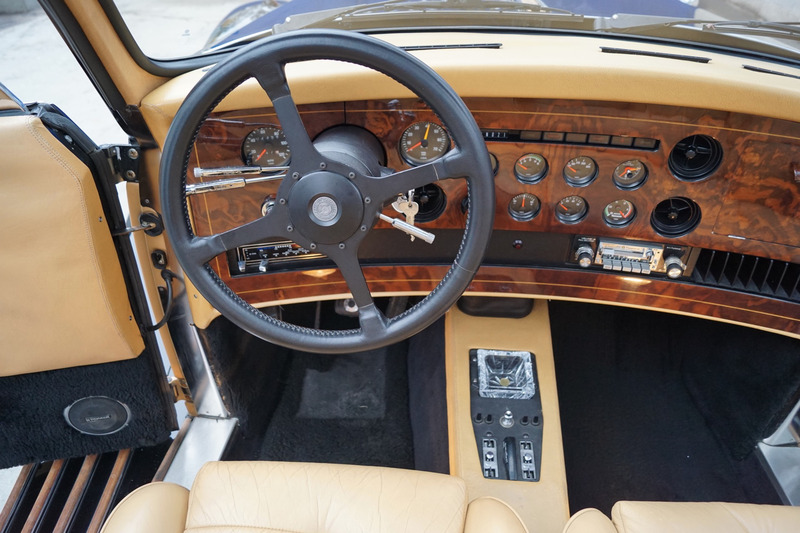 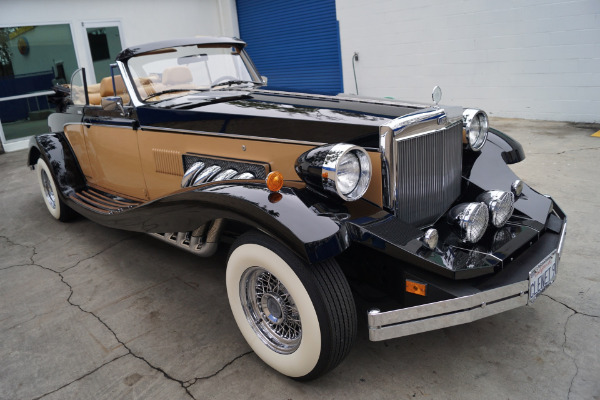 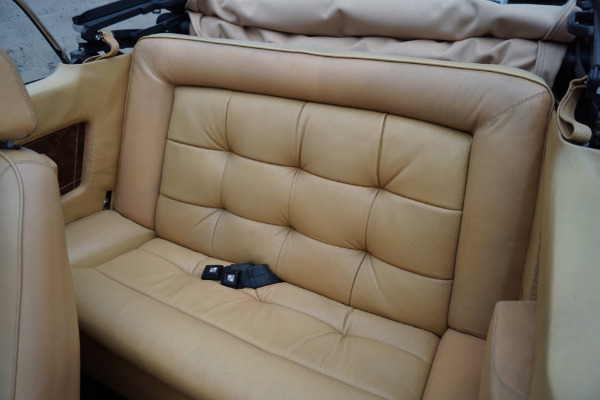 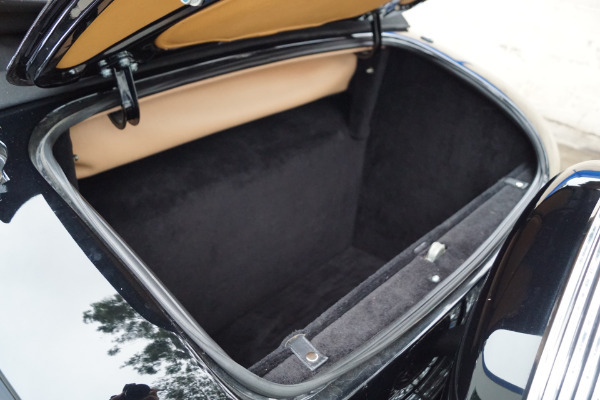 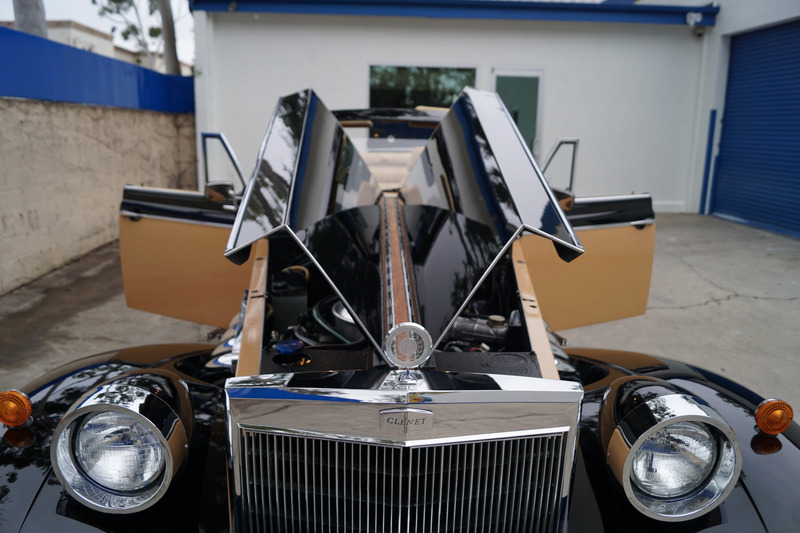 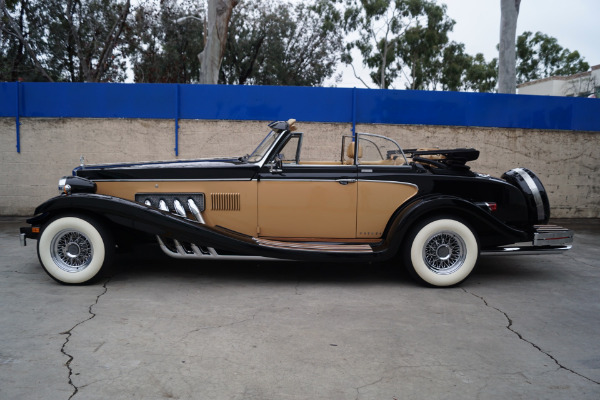 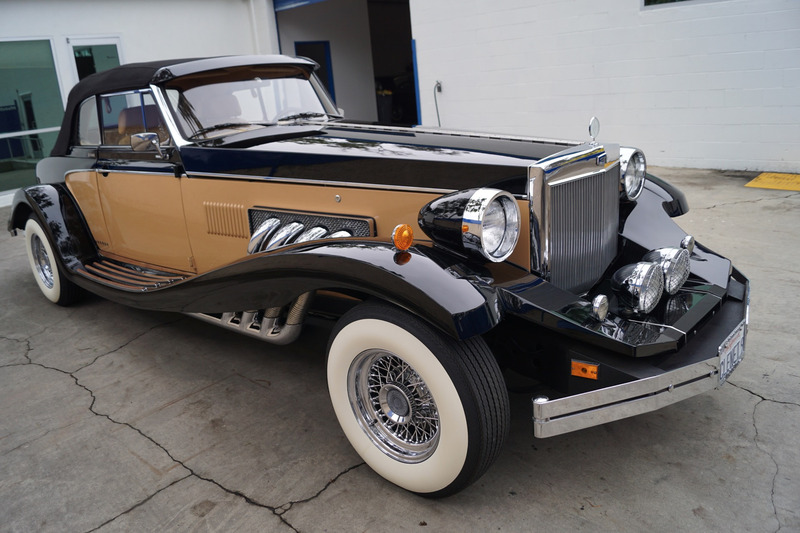 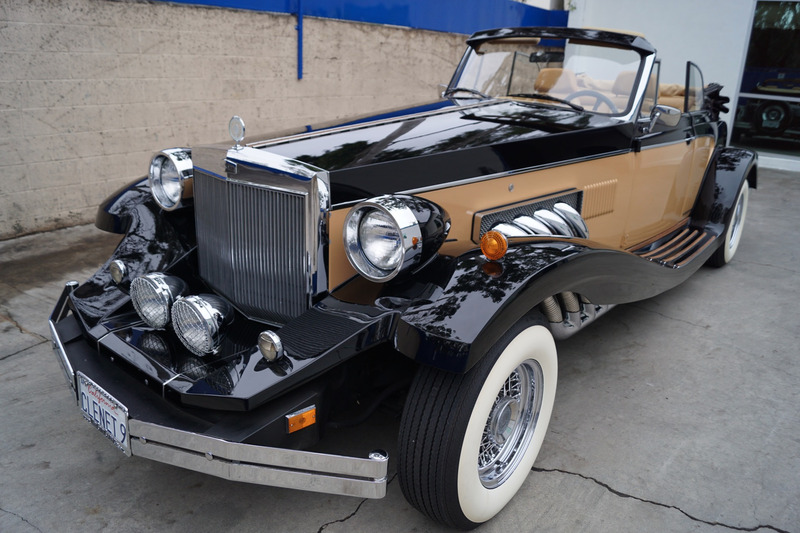 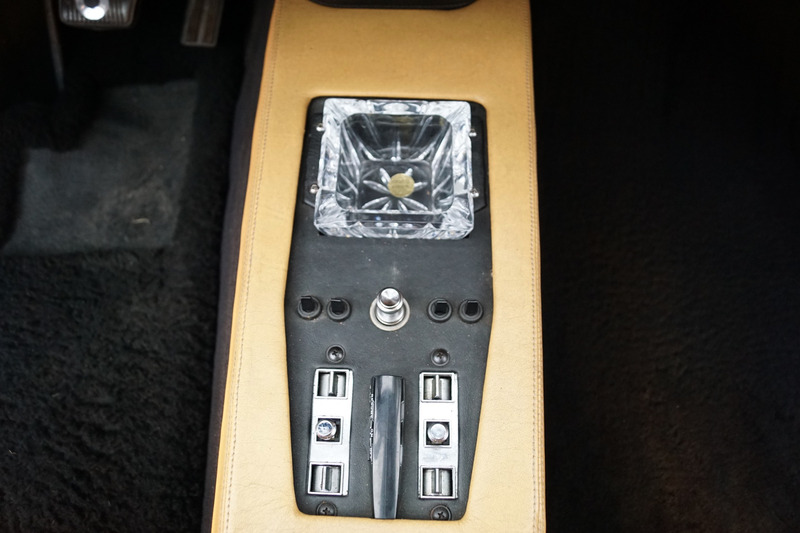 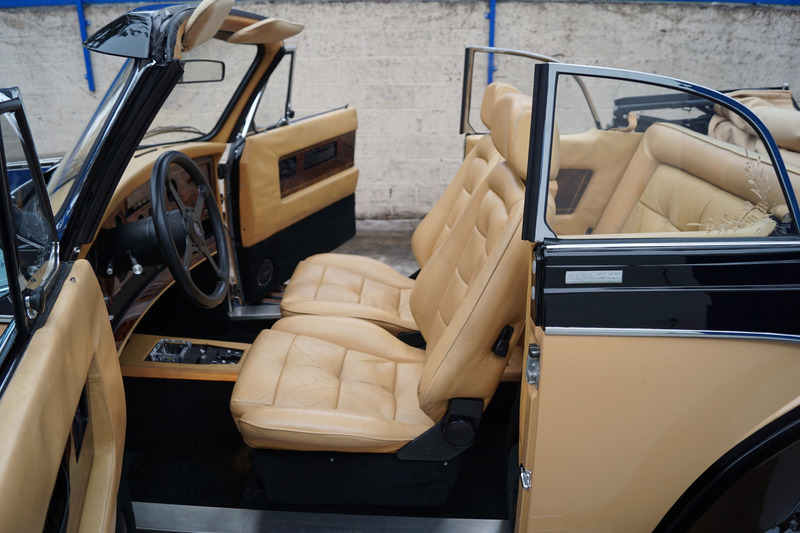 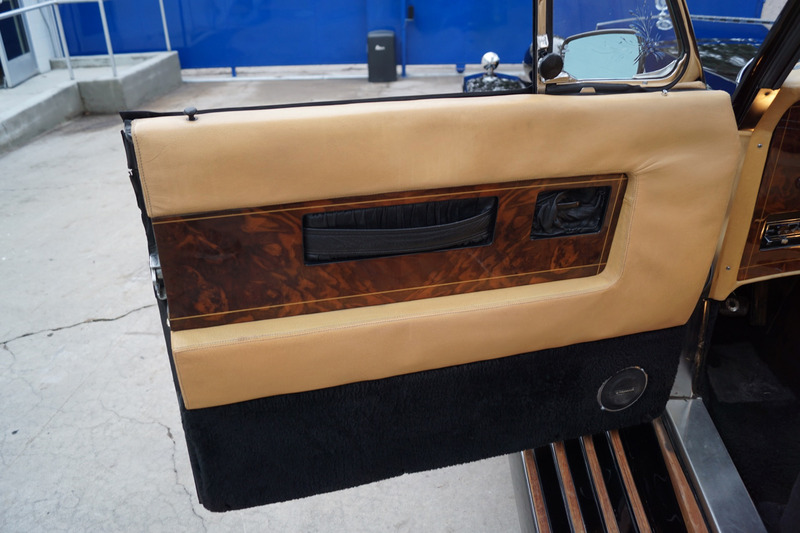 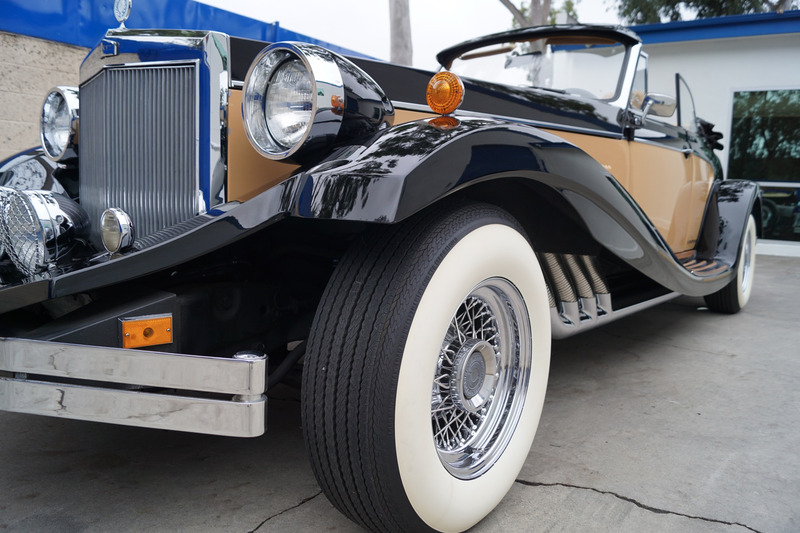 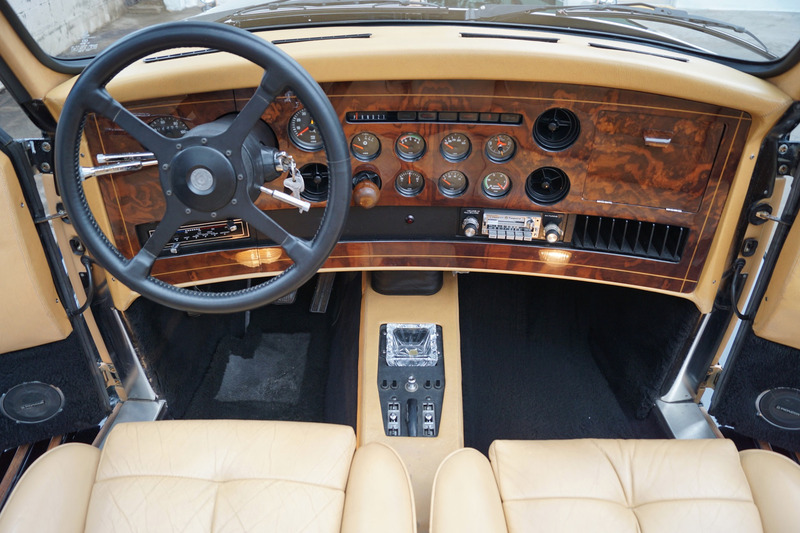 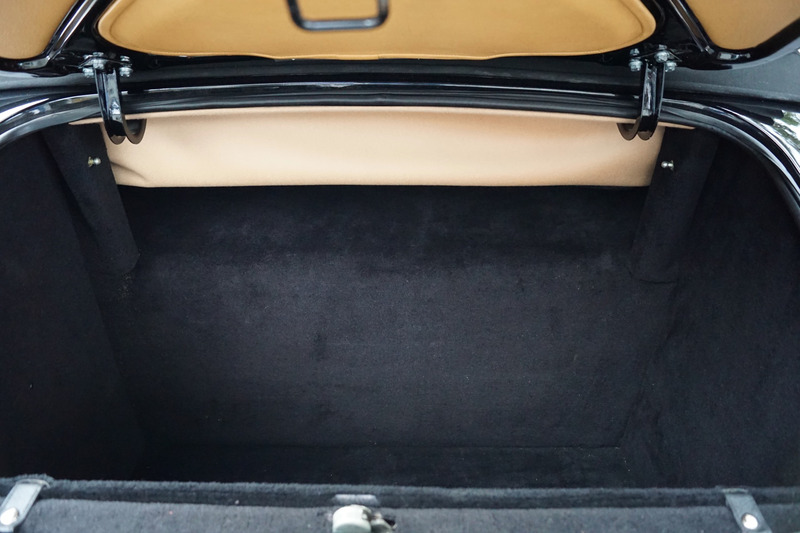 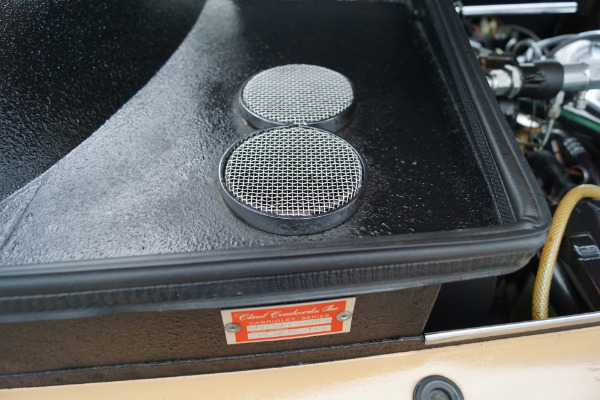 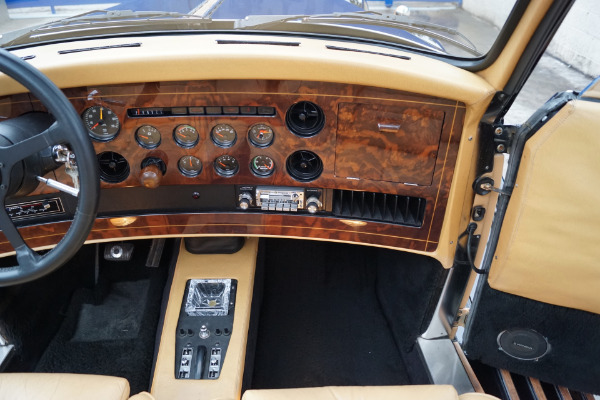 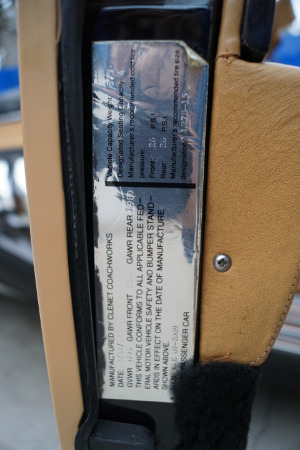 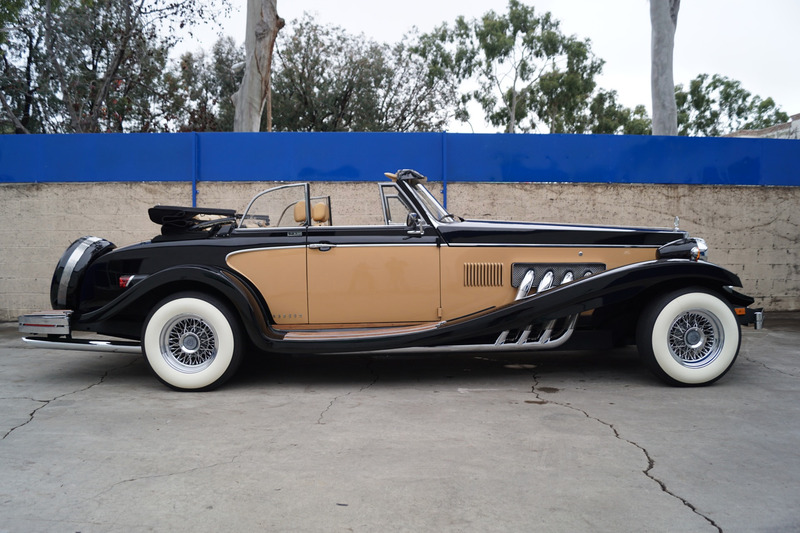 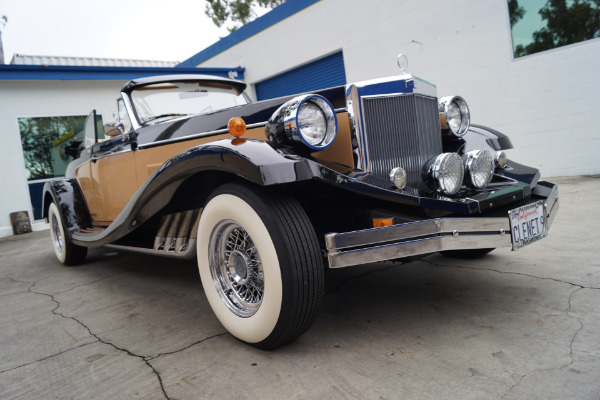 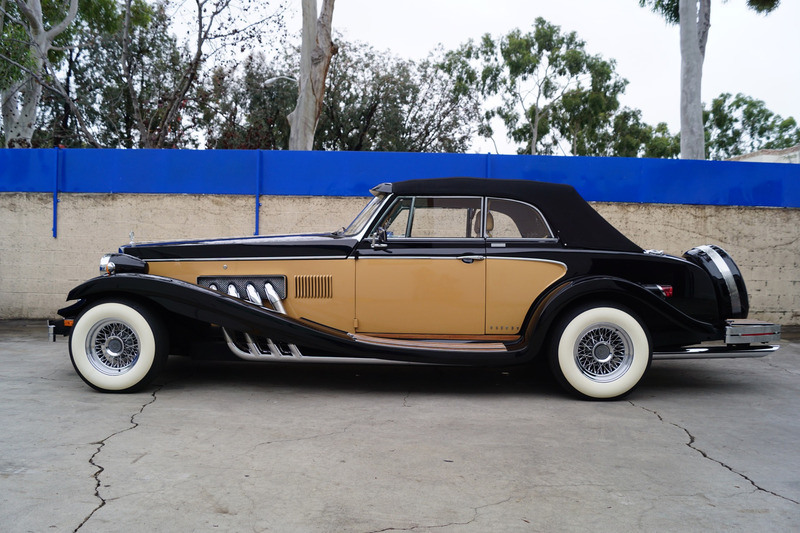 Inside this classic you will find the Connolly leather Tan interior that continues with that theme of luxury. 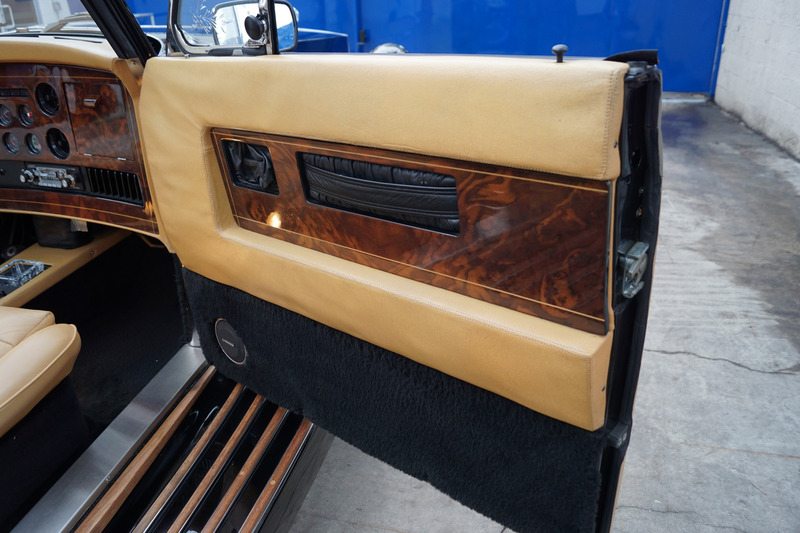 The high back bucket seats are extremely comfortable and are separated by a striking center console with the 'Waterford Crystal' ashtray. 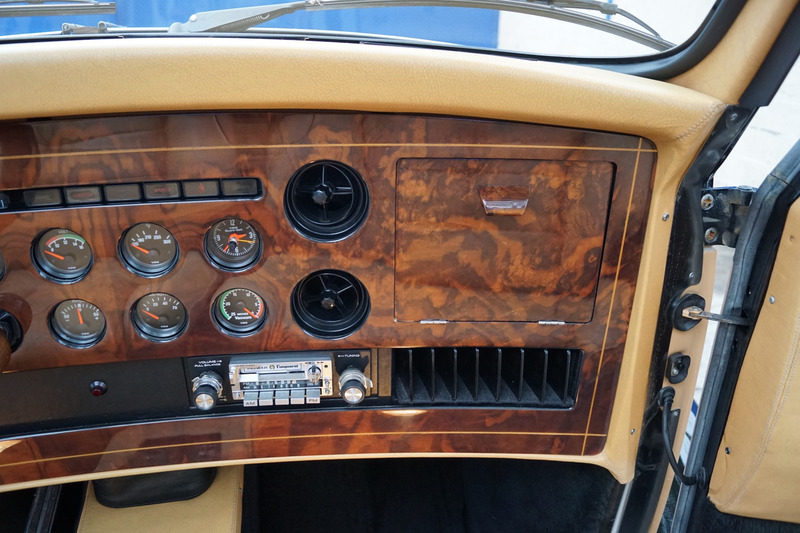 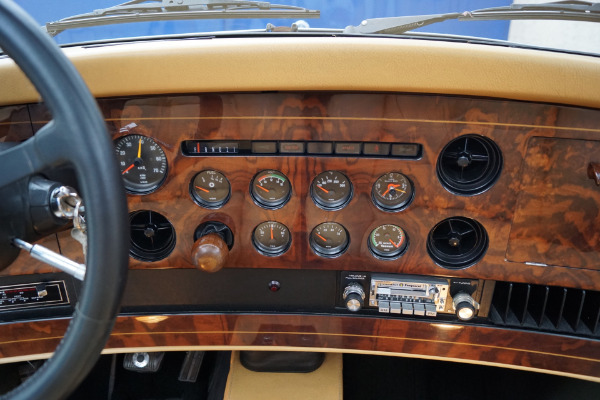 On the console and dash you will find the wood accents that are in great condition. All of the gauges work as they should as does the A/C system which blows nice and cold and the AM/FM/Cassette player delivers a great sound. 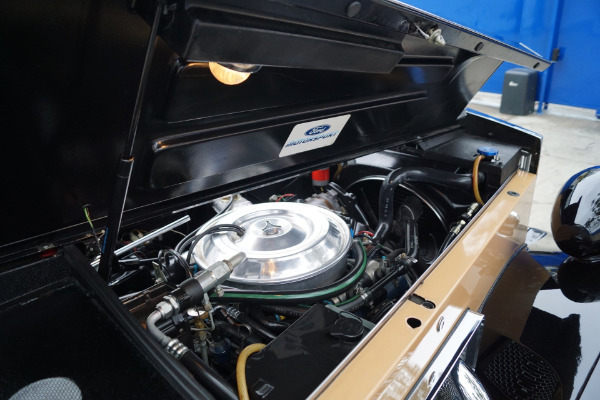 The car is powered by a strong Ford 351 V8 5.7L engine matched to a 4 speed automatic transmission with overdrive. 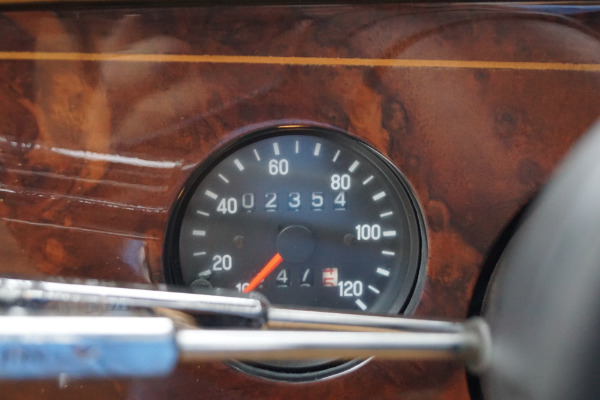 The car drives exactly like a well maintained and extraordinarily low mileage example should and must be driven to be fully appreciated and seen to be believed! The engine is extremely strong with no oil leaks, the transmission is very smooth and the engine temperature always remains cool. Turn-key ready, this particular model must looks and drive exactly as when it left the showroom floor almost thirty-eight years ago and will be sold with its original and rare handbook from Clenet.